The Four Horsemen Tour has reached completion! 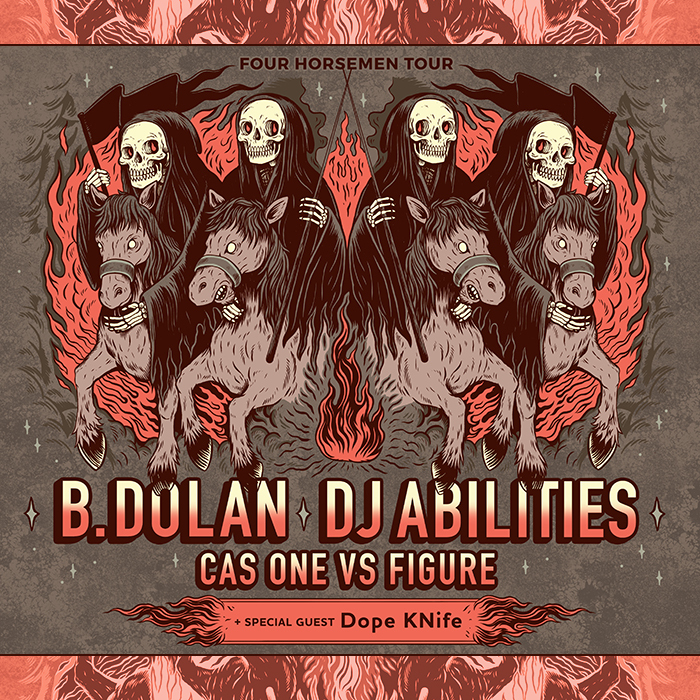 The Strange Famous crew took to the road in April/May of 1017 for 20+ dates as headliners B. Dolan & DJ Abilities (Rhymesayers) were joined by Cas One and Dope KNife. Thanks to everyone who came out and showed love. All upcoming SFR tour dates & show info can be found here.